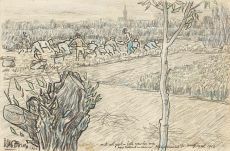 Jan (Johann Theodorus) Toorop was born on the isle of Java, Poerworedjo, in the year 1858. 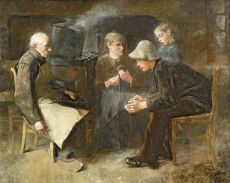 In 1869 his family moved to The Netherlands, where they believed Toorop could obtain better education. 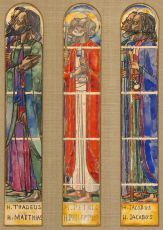 After a childhood of poor concentration and poor grades, Toorop applied to the Academy of Arts in Amsterdam, focussing mostly on sculpture and applied arts. In 1882 Toorop left for the city of... Read moreJan (Johann Theodorus) Toorop was born on the isle of Java, Poerworedjo, in the year 1858. 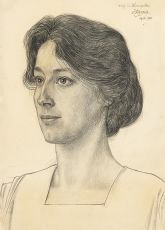 In 1869 his family moved to The Netherlands, where they believed Toorop could obtain better education. 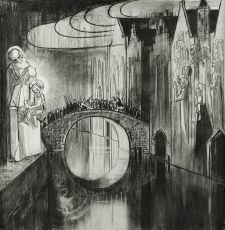 After a childhood of poor concentration and poor grades, Toorop applied to the Academy of Arts in Amsterdam, focussing mostly on sculpture and applied arts. 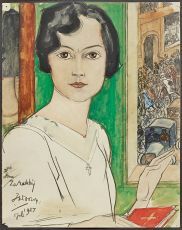 In 1882 Toorop left for the city of Bruxelles, where he gained popularity as a member of the group Les Vingt, a group of twenty artists who would exhibit their work twice a year in February and March. 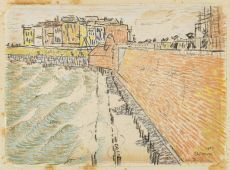 Jan Toorop, together with Van Gogh and Mondriaan, belongs to the group of most important Dutch artists from the period around 1900. These major artists had their focus on new, international developments in art and inspired other artists themselves. 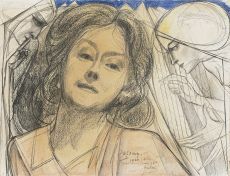 Toorop can be seen as a great source of inspiration of Gustave Klimt. 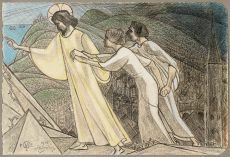 Toorop's work knows an immense popularity and is often associated with Art Nouveau, mainly because of one well-known advertisement for a certain kind of salad oil. 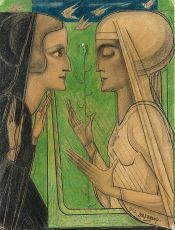 However, Toorop's oeuvre should not be seen as Art Nouveau only. 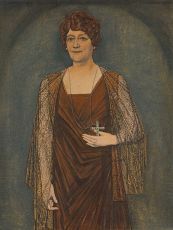 He was known as a neo-impressionist and symbolist as well, switching between styles of working and combining them in response to his environment.